FHA loans are becoming increasingly popular these days as potential homeowners may not able to qualify as easily for conventional mortgages. The FHA insures some higher-risk loans, in turn allowing borrowers with low down payments and less than perfect credit to purchase homes and bolster the housing market. However, while getting through the loan process with an FHA mortgage loan is not necessarily more difficult than with a conventional or conforming loan, there are some issues that you will want to be aware of. You can’t buy just any property with a FHA loan, or any other loan for that matter. 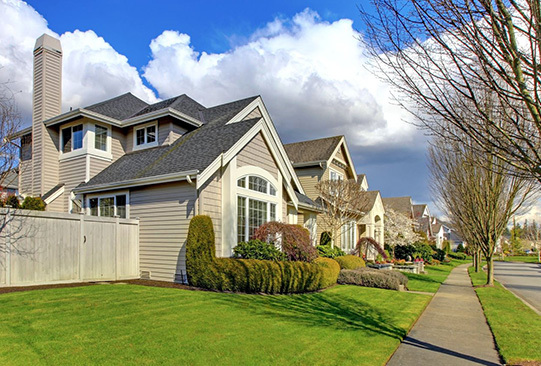 All lenders are concerned with the condition of a property, especially as it relates to livability and safety. Major deficiencies in a home will almost always be noted when the home is seen by the FHA appraiser. The appraiser must deem it to be livable, without any conditions that could jeopardize health or safety. Sometimes you can get the seller to make the needed repairs to pass the lender requirements. In other cases, you may want go an alternate route. The FHA 203K streamline loan allows you to borrow up to $35,000 for home repairs to bring the house up to code. The primary role of the appraiser is to estimate it’s market value. These estimates are based on the property’s features and a comparison to similar properties that have sold recently. If the appraisal is low, the loan funding could fall through because the FHA underwriting guidelines (along with almost all conventional guidelines) will not let you borrow more than the home’s appraised value. You can, however, add to the amount you bring in to closing if you prefer to compensate for a low appraised value. Rather than trying to scrape together a bigger down payment, you may want to take the information to the seller to renegotiate the purchase price. The seller will likely recognize that other buyers would be in the same boat, leading the seller to agree to a lower purchase price. Debt to income ratios are a concern with virtually every type of mortgage loan on the market today. Your FHA loan may encounter a snag in the underwriting process if your total debt payments, including your new mortgage, would be a high percentage of your income. FHA has an automated underwriting program called TOTAL Scorecard which uses an algorithm to determine a borrower’s qualification. The process is quick, and often you can make up for a high debt-to-income ratio with other compensating factors, like a larger down payment or a cash reserve of several months of mortgage payments. If you have any questions regarding FHA loans or any other home financing questions, please give us a call! The economy seems to be heating up rapidly, but home loan interest rates are still at historically low levels. Real estate values have climbed a bit across the country, but low interest rates and affordable prices makes for an excellent opportunity for new homeowners to get into their first home before it rates and prices rise higher. According to the recent studies, there were 4 consecutive quarters of homeownership growth where new homeowners outpaced new renters. The solid economic fundamentals are likely responsible for creating this excellent home buying environment. Over the past year, Millennials seem to be on board and helping to drive the upward trend. They represent the next generation of homebuyers, and as this group is getting older, they are getting married more frequently. They are also starting families which tend to encourage the idea of home ownership. In fact, a recent analysis showed that home ownership is 30% higher among married couples than non-married couples. 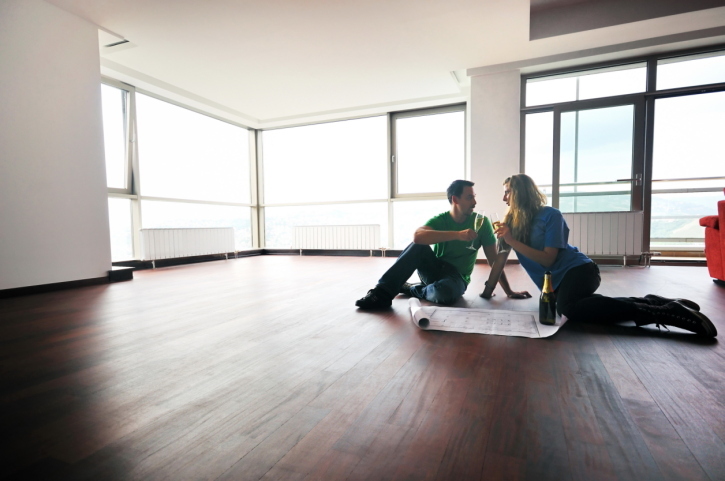 Specifically, low unemployment numbers and a progressively aging pool of Millennials with a desire for home ownership appear to be driving this trend. US homeownership actually increased over 2017 to an unadjusted rate of 64.2%, which was a significant uptick from the previous year at 63.7%. Any homebuyer with military status can take advantage of Veterans Administration loans with far better rates than the normal market, making mortgage payments cheaper. Those buying in rural areas can take advantage of rural homebuyer’s assistance programs provided by the U.S. Department of Agriculture to help people move to small towns and similar communities. The Housing and Urban Development Agency provides HUD loans that make it very affordable for those with limited income to purchase HUD-owned homes as first-time buyers and get into real estate. Of course, the big response from Millenials is how do I earn more to even get started. Like Generation X folks before them, Millenials can’t wait for a job to be made available on a platter. While looking, many smart folks have started their own businesses online or in their local marketplace. If a current job is enough to cover current bills, a second income can be entirely dedicated to saving, which can generate thousands of dollars quickly. Even a part-time second job that creates $1,000 a month produces $12,000 a year and in two years enough for a sizable down payment. If you have questions about buying your next home, give us a call. We’d be happy to help! Last week’s economic releases included minutes from the most recent FOMC meeting, a report on January sales of pre-owned homes and weekly readings on mortgage rates and new jobless claims. While analysts expect three rate hikes in 2018, the FOMC voted to hold the federal funds rate at 1.25 to 1.50 percent. Most FOMC members expected that the goal of 2 percent inflation was within reach in 2018. Analysts were not as confident about reaching to Fed’s inflation goal. Instead, the said that in response to tax cuts, the labor market could exceed full employment and lead to higher wages and surging inflation. A minority of FOMC members said that inflation could fall short of the Fed’s goal as retailers would compete by lowering prices. According to the National Association of Realtors®, sales of previously-owned homes dipped from a seasonally-adjusted annual rate of 5.56 million sales to 5.38 million sales in January. This reading was the lowest in more than three years; it could indicate that the shortage of homes for sale has reached critical mass. Months of short supplies of homes for sale have caused rapidly rising home prices, buyer competition and fewer choices of homes for would-be buyers. Real estate pros have repeatedly said the only solution to shortages of available homes is that builders must build more homes but increasing materials costs and labor shortages have caused construction pace to lag demand for homes. Affordability continued to weigh on moderate-income and first-time buyers. Freddie Mac reported higher mortgage rates on average last week. The average rate for a 30-year fixed rate mortgage was two basis points higher at 4.40 percent; rates for a 15-year fixed rate mortgage averaged one basis point higher at 3.85 percent. The average rate for a 5/1 adjustable rate mortgage was two basis points higher at 3.65 percent. New jobless claims dropped by 7000 first-time claims and regained a 45-year low. 222,000 new claims were filed last week as compared to expectations of 229,000 new claims and 230,000 new claims filed the prior week. Real estate pros and analysts cite strong labor markets as driving housing markets and high demand for homes. Workers with job security and options for advancement in their careers are more likely to consider investing in a home than paying rising rents. 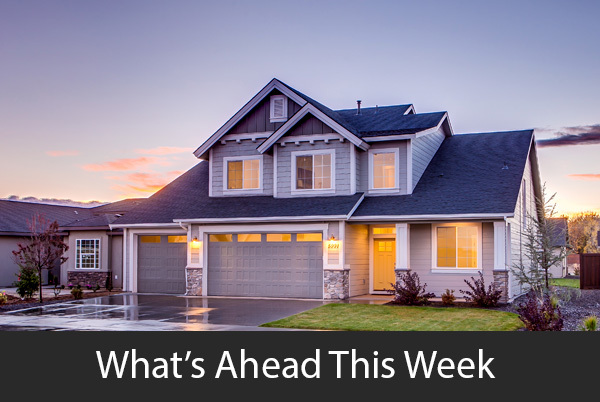 This week’s scheduled economic releases include Case-Shiller Home Price Indices, readings on new and pending home sales and construction spending. Weekly readings on mortgage rates and new jobless claims will be released along with a report on consumer sentiment. Have you ever walked into your kitchen and instantly felt hungry? Rarely do people think about the colors that they choose to paint their kitchens. They are often too busy worrying about whether the kitchen will match the rest of the home, or whether the colors will be satisfactory to the rest of the household. However, as much as you might want to have a special color in your kitchen, your brain is very likely wired in a way to react in ways that you may not have intended! When painting and decorating your kitchen, you may want to think about the process in a way many people do not — how the colors you choose will affect the way in which you eat. Colors affect a lot of our subconscious thinking. As behavioral psychologists have documented, the presence of specific colors your the kitchen can change your eating habits and your cravings for food. Red: The color red increases your appetite. This is why so many restaurants paint their walls red. Although associated with romance and passion, red is also a color which promotes hunger. Furthermore, it has been noted that the color red in your kitchen can influence high blood pressure. Orange: The color orange is a “stimulating” color; increasing oxygen supply to the brain and providing a mental boost. An orange-themed kitchen may stimulate your appetite, therefore, and make over-eating more likely. 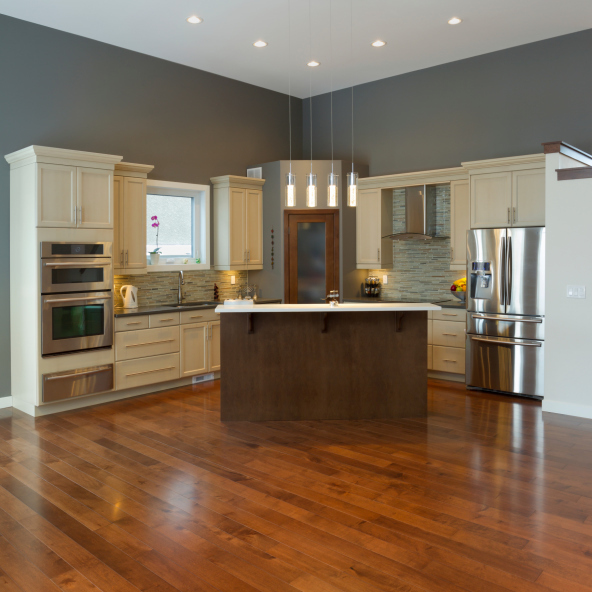 Gray: Gray can be an ideal appetite-suppressing color for your kitchen. This is because, psychologically, gray is calming and relaxing, and it neutralizes anxiety. Gray can arrest binge eating and impulsive snacking. It’s also a color which home stagers recommend for its neutrality. Blue: The color blue is calming, which can slow your eating speed, and prevent you from over-eating. When decorating your kitchen and dining room, therefore, using blue wallpaper or blue paint; and blue placemats, for example, can result in “slower” eating and fewer feelings of fullness. And there’s more about blue! There are very few foods that are naturally blue outside of blueberries and some varieties of potatoes. So over time your subconscious mind has trained itself to be wary of any food that is blue. Some weight loss programs suggest eating on a blue plate and even putting a blue light in your refrigerator! So if you’re concerned about the amount you or your family is eating, painting your kitchen blue may very well help curb the appetite. Whether you’re a home buyer, a home seller, or just getting ready to remodel, consider the influence of colors in your home. They do more than just “match the next room” — they affect your food and drink cravings as well. Last week’s weeks economic releases included readings on the NAHB Housing Market Index, housing starts and building permits issued and consumer sentiment. Weekly readings on mortgage rates and new jobless claims were also released. The National Association of Home builders reported an index reading of 72 for its Housing Market Index in February. January’s reading was also 72; readings over 50 indicates that more builders than fewer are confident about housing market conditions. Three readings comprising the overall NAHB HMI reading include builder confidence in current market conditions, which was one point lower in February at 78. Builder confidence in housing market conditions in the next six months rose two points to an index reading of 80. This was the highest reading for future housing market conditions since before the recession. Builder confidence in buyer traffic in new housing developments was unchanged at 54. Builders surveyed cited strong labor markets and short supplies of pre-owned homes as fueling confidence in current market conditions, but identified ongoing labor and lot shortages and rising materials costs as concerns for builders. High builder confidence was reflected in readings for housing starts and building permits issued in January. Housing starts rose to their highest level in more than 10 years. The annual pace of housing starts reached 1.326 million starts. January’s reading exceeded expectations of 1.324 million starts and December’s reading of 1.209 million housing starts. January’s starts reflect strong builder confidence readings and may also signal future relief for short supplies of available homes and high demand for homes in many metro areas. High demand for homes has caused rapid appreciation in home values and sidelined first-time and moderate-income buyers in areas with high home values. According to the Commerce Department, building permits issued rose to 1.396 million from December’s1.380 million starts annually. The University of Michigan reported the second highest reading for consumer sentiment in 14 years. February’s reading of 99.9 was higher than expectations for a reading of 95.3 and January’s reading of 95.7Analysts said that recent tax cuts likely stabilized consumer outlook in spite of volatile financial markets. Freddie Mac reported higher mortgage rates for all three types of mortgages it tracks in its Primary Mortgage Market Survey. Rates for a 30-year fixed rate mortgage rose an average of six basis points to 4.38 percent. The average rate for a 15-year fixed rate mortgage was seven basis points higher at an average of 3.84 percent. Rates for a 5/1 adjustable rate mortgage averaged 3.63 percent, which was six basis points higher than the prior week. New jobless claims were higher last week with 230,000 new claims filed, which matched expectations and exceeded 223,000 new jobless claims filed the prior week. This week’s economic releases include readings on existing home sales along with weekly readings on mortgage rates and new jobless claims. Financial markets were closed on Monday for President’s Day. Whether you are purchasing a new home or you are considering applying to refinance your home, chances are the lender will require an escrow account. These accounts are often a source of confusion for homeowners. In reality, these accounts benefit the homeowner and help protect the lender. Escrow accounts are sometimes called “impound” accounts. These accounts are set up to help manage payments of property taxes and homeowner’s insurance. Depending on the individual requirements of the lender, you may be asked to pay as much as one-quarter of these upfront and they will be put into the account for the purposes of making payments. Lenders have complete control over escrow accounts. However, homeowners are entitled to receive an annual statement advising them of their escrow balance. If there is an increase or decrease in insurance payments through the year, a homeowner may request the lender evaluate the escrow account and change the amount that is paid. Is interest paid on escrow accounts? There is no mandate to pay interest on escrow accounts. When you refinance your home, the funds for your taxes and insurance are calculated into your overall payment. The portion that is to be used to pay taxes and insurance is placed in escrow. Federal laws do not require lenders to pay interest on these accounts. What happens if I sell my home or refinance? When you sell or refinance your home, your escrow account will be credited at closing. The amount may be used to lower your out-of-pocket costs or may be turned over to you as a direct payment. What happens if there is not enough/too much money in escrow? If your lender has underestimated your escrow payments, they may request you send an additional payment to make up the difference. In the event you are paying too much into escrow, your lender has the discretion to release the overage amount directly to you. 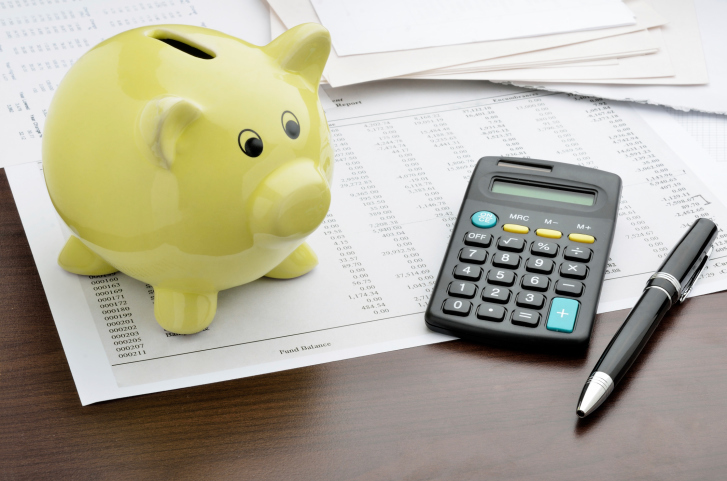 In most cases, shortfalls or overages of $50 or less are typically not a major concern. If your lender requires you to have an escrow account for the taxes and insurance portion of your mortgage payment, it can be very helpful. Escrow accounts help ensure you do not have to come up with a large payment once a year for insurance or quarterly for taxes. In some cases, if a lender does not require an escrow account, as a borrower, you may request they escrow your taxes and insurance for convenience. Homeowners insurance and title insurance may not be the only kinds of insurance you need when you buy a home. Many buyers also have to purchase mortgage insurance, which lenders require for mortgages with a down payment of less than 20 percent. Take the time to understand what you’re buying and how long it will affect you. 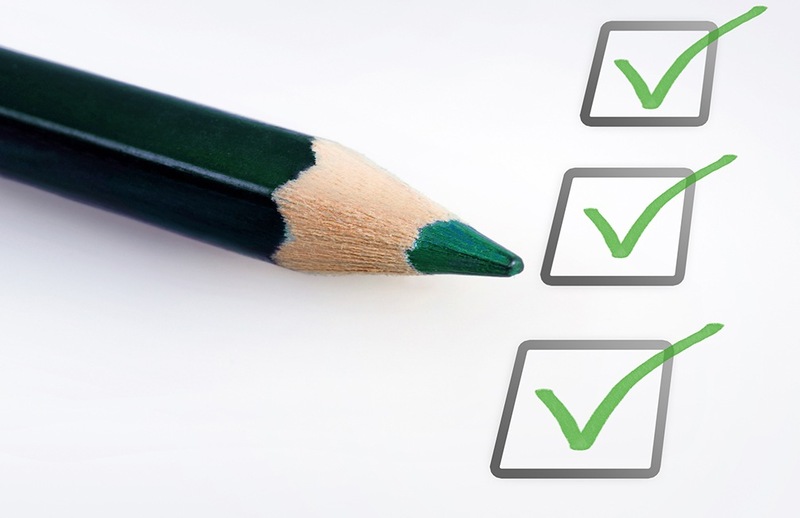 Most types of insurance will pay you if you make a claim. Mortgage insurance, though, is solely for the lender. If you were to stop making payments and the lender foreclosed on your home, the mortgage insurance would pay the lender the difference between the profit from selling your home and the amount you still owed on your mortgage. When you have a mortgage with a traditional lender, you get private mortgage insurance, often abbreviated PMI. This insurance is provided by a third party, although your lender will typically dictate who provides the insurance. When you get an FHA mortgage, the federal government provides the mortgage insurance and you pay mortgage insurance premiums, often abbreviated MIP. You can generally expect to pay 0.5 percent to 1 percent of your loan balance each year for private mortgage insurance. FHA mortgage insurance premiums are set by the federal government, and as of 2017, are 1.75 percent of the loan balance up front, plus 0.45 percent to 1.05 percent of the loan balance each year, depending on the type of loan. FHA loans have mortgage insurance until the loan is paid off, either through regular payments or by refinancing. Traditional loans automatically cancel mortgage insurance when you have reached the point on your amortization schedule where the loan balance drops below 78 percent of the purchase price. You also may be able to apply to cancel mortgage insurance as soon as your loan balance is less than 80 percent of your home’s current appraised value. How Can You Get Around Paying Mortgage Insurance? When purchasing a home, the only way to avoid having to buy mortgage insurance is to get a mortgage for less than 80 percent of the home’s purchase price. However, the cost of mortgage insurance may be something you’re willing to pay for the opportunity to buy now without a down payment of 20 percent. Renovating your home is the best way to increase its value, but even the smallest mistake can blow up into a major problem in the future. To learn more about your home’s value, contact us today. Our real estate sales team can help you assess your home and share how much it will sell for if you decide to list.